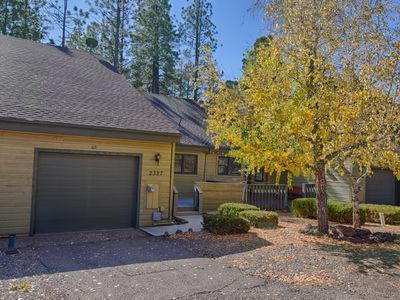 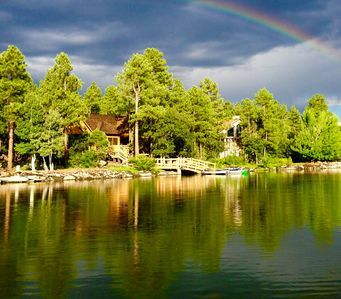 Are you seeking a relaxing, fun getaway in Pinetop for the whole family? 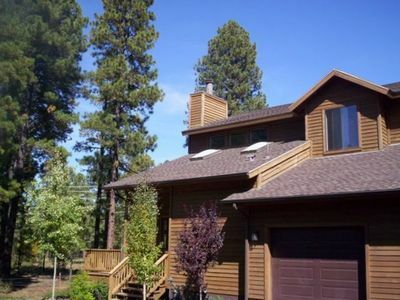 Enjoy spectacular views from this beautiful 3-bedroom, 2.5 bath townhome, situated on the border of the national forest. 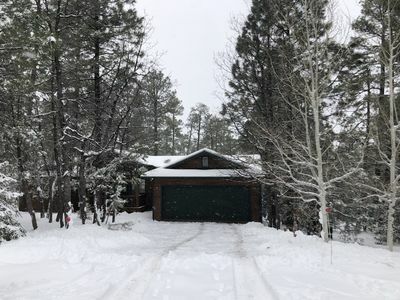 Located only 5 minutes from Pinetop and only 30 minutes from the Sunrise Ski Area, you will find it easy to navigate around the White Mountains from here. 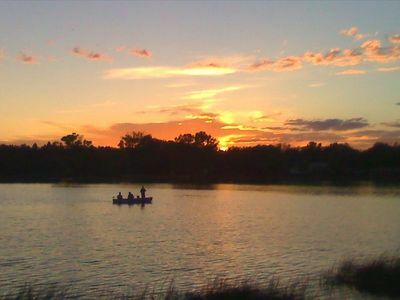 Bring the pets (dogs-only please) and the kids and explore the region together. 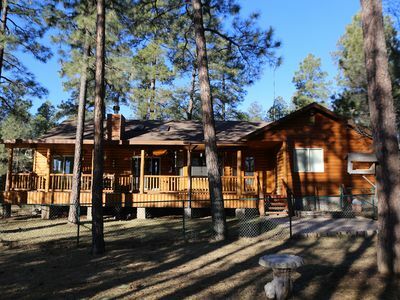 After a fun day of sightseeing, hiking, fishing, hunting, boating or skiing, come back to relax on the large, wrap-around covered deck and breathe in the fresh pine scent, or sit in front of a warm fire in the stone fireplace (gas). 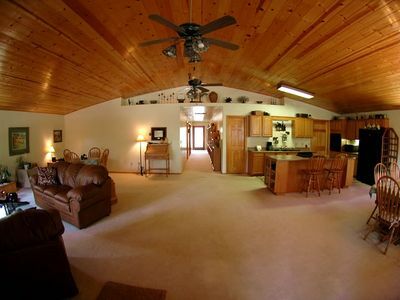 The fully-equipped kitchen allows you to easily cook a great meal for that special someone. 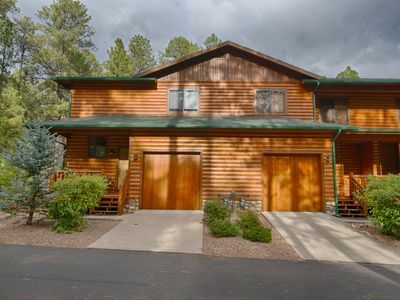 This spacious 1672 square foot townhouse sleeps up to 9 people (7 privately) and will be your comfortable home away from home. 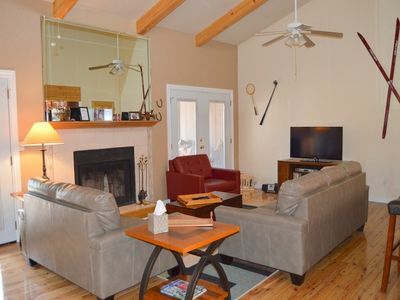 You will love the beautiful Hardwood floors in the kitchen and living area. 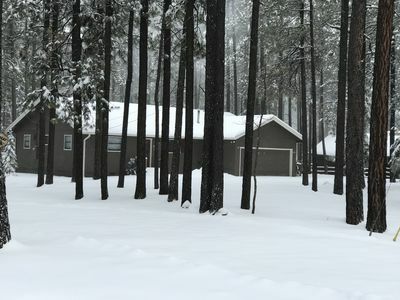 Sleeping arrangements include one king bed (bedroom 1), one Full Size (bedroom 2), one Queen & one twin bed (bedroom 3) and one day bed with trundle in the loft. 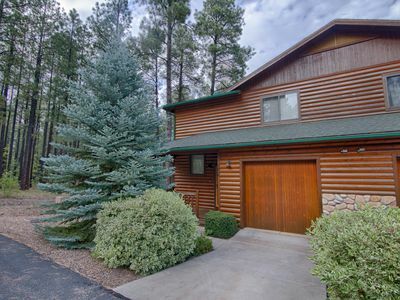 Many special touches add to your pleasure such as vaulted ceilings, skylights, an epoxy coated garage floor, and log touches throughout. 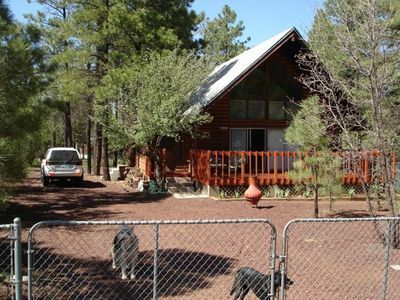 Stay here and you'll feel right at home in Pinetop! 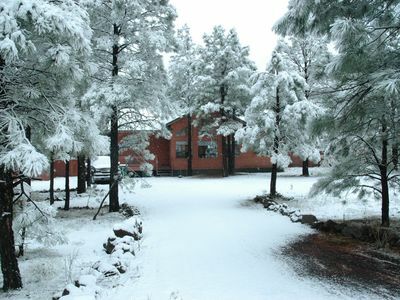 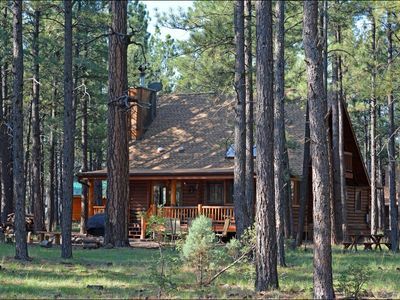 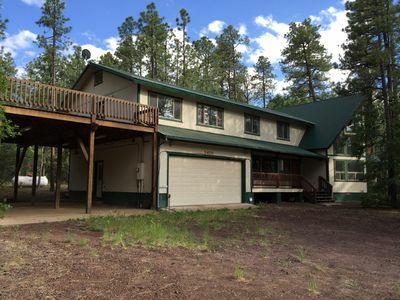 Enjoy a relaxing getaway in beautiful pinetop!